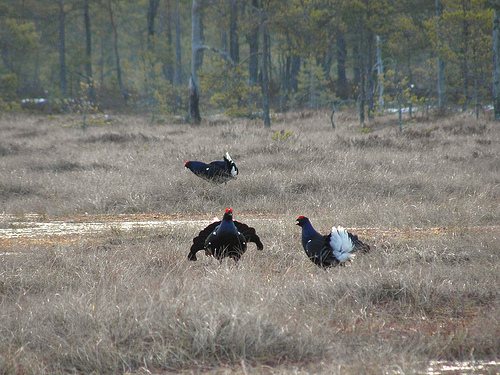 Unfortunately, in western Europe the Black Grouse is not doing well. It is a beautiful bird, the male bluish black and the female brown. 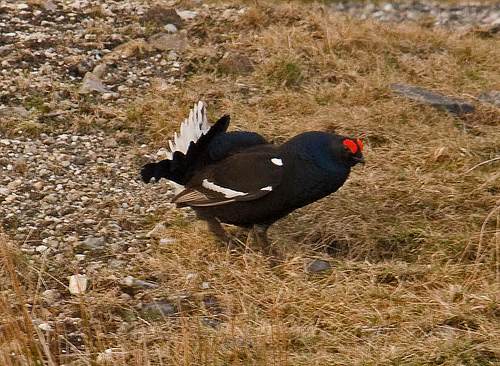 The Black Grouse is slightly smaller than the Capercaillie, with dark wings and a forked tail.